Saturday Night at the Cafe: Ya got some skis for a Mini? Okay, Cafe Regular Kevin pointed us over to Billy Ockham’s blog where he’s posted this highly entertaining segment from Top Gear featuring motoring journalists Jeremy Clarkson, James May, and Richard Hammond. 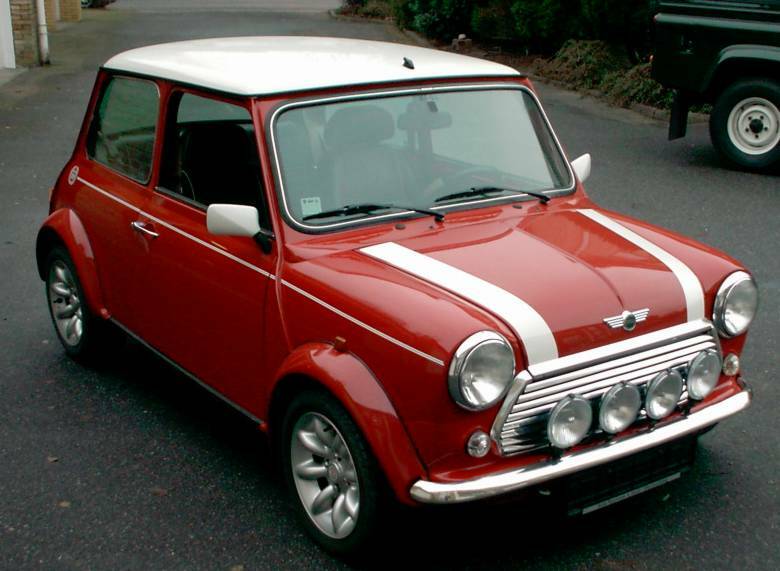 Now one of our all-time favorite cars is the classic Mini (the BMW version is nice, but the old Mini had a quirky character, like the old VW Bug). This segment features sending a Mini over a ski jump used for the 1994 Winter Olympics in Lillehammer, Norway. Having been born into a family packed with engineers, we dedicate tonight’s feature to all of them. The preparation for the event brought memories back of what it’s like to be raised by a family of engineers. Before anyone does anything there must be a plan and the first thing to come out is a pencil and paper and lots of mathematical formulas as we sit at the dinette table – but there’s always a plan. Then we’ll pack the car for the camping trip to Yellowstone. In fact, the preparation we see for this segment reminded me so much of what it was actually like at our house when we were preparing for the Pinewood Derby, a tradition that continues – including the prerequisite preparation – into the next generation. Here in this segment we see the same attention to detail, long before the jump ever takes place. All they were missing was the dinette table, no wait – there’s one of those too!